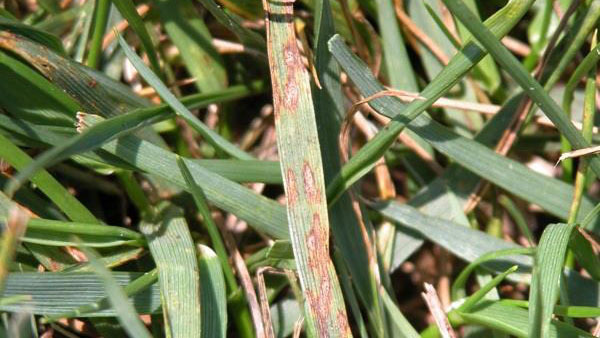 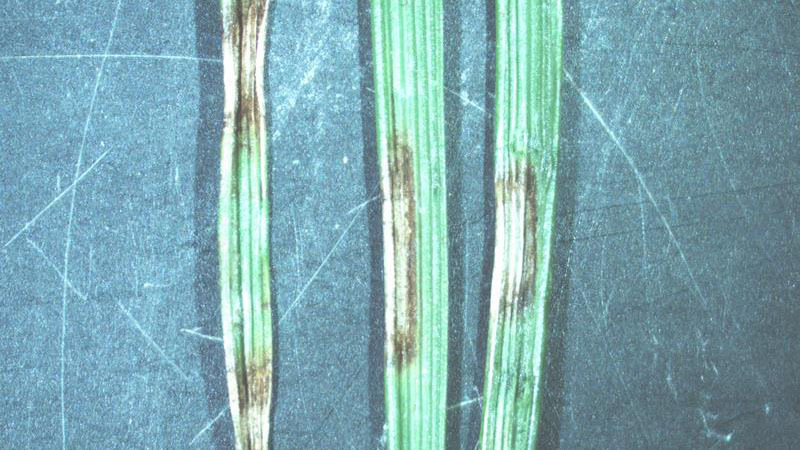 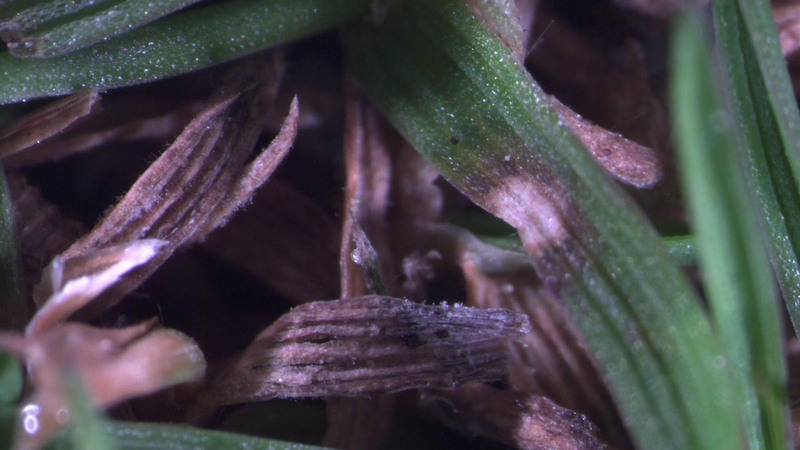 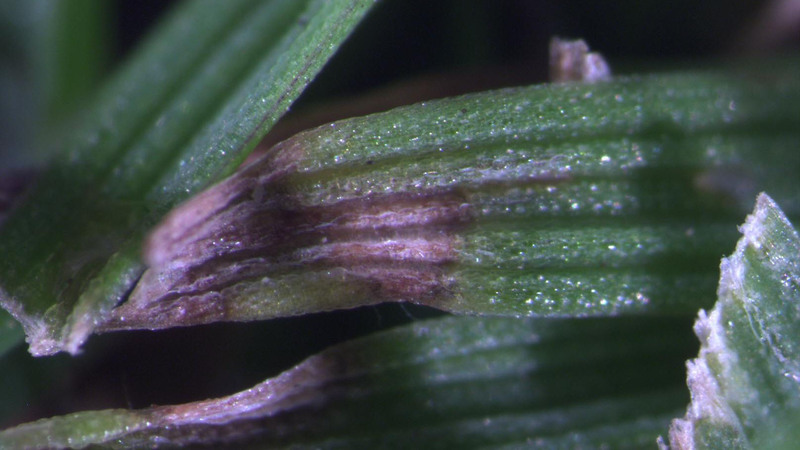 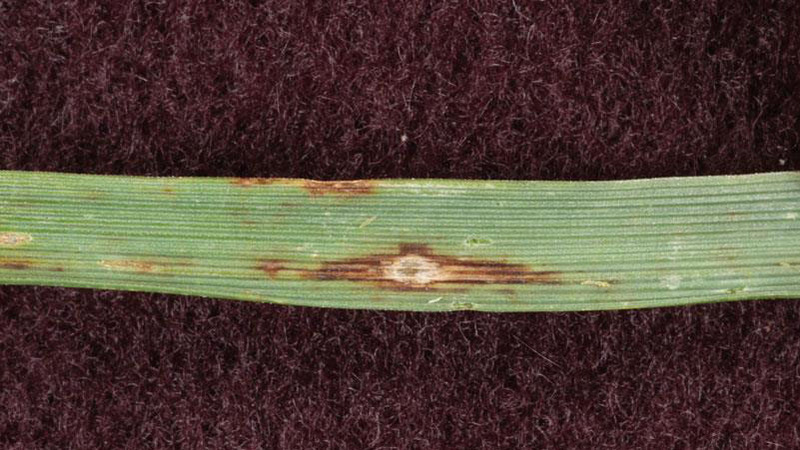 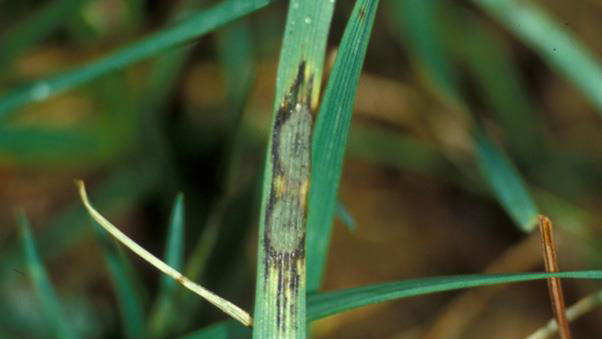 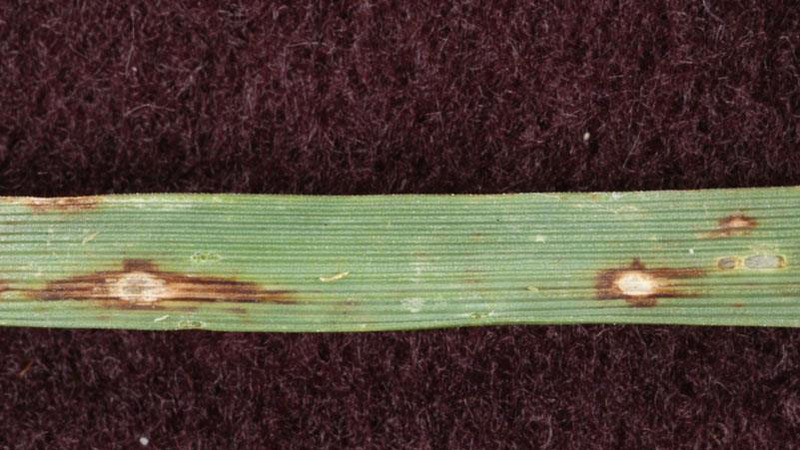 Leaf spot and melting out are common diseases in bluegrasses and bermudagrasses caused by species of Drechslera and Bipolaris (formerly known as Helminthosporium). 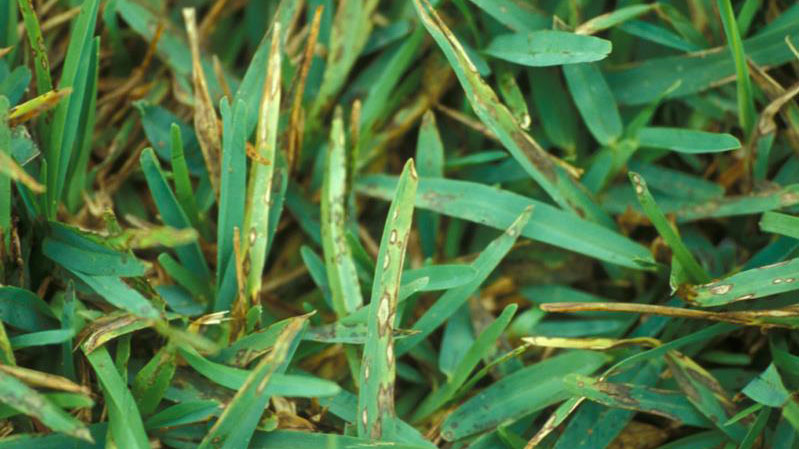 In the bluegrasses, this disease is most active during warm and humid weather. 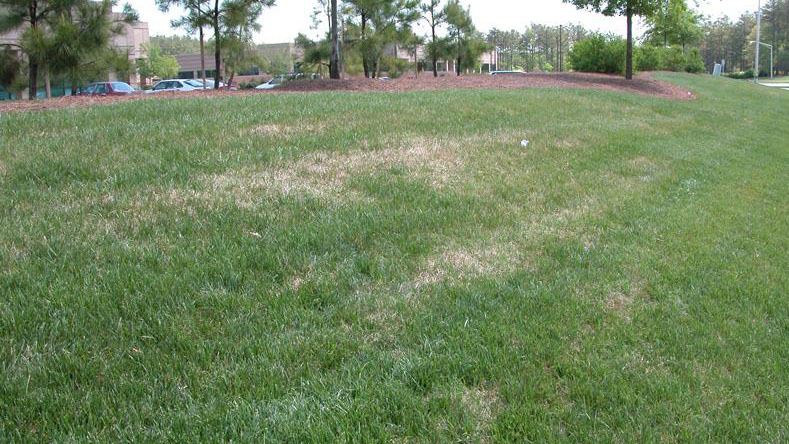 In bermudagrasses, most damage occurs during cool and wet periods in the fall and spring, especially during periods of prolonged cloud cover. 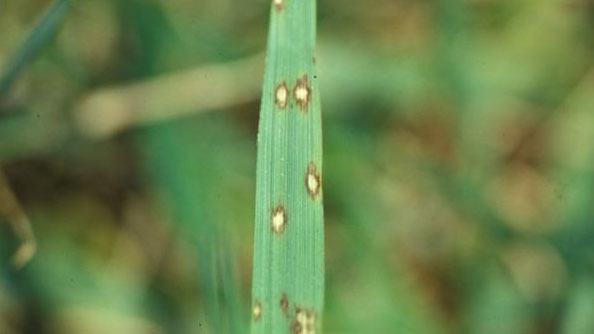 Leaf spot symptoms are expressed in the early stages of the disease, but if left uncontrolled, the pathogen may progress into the basal portions of the plant to cause ‘melting out’. 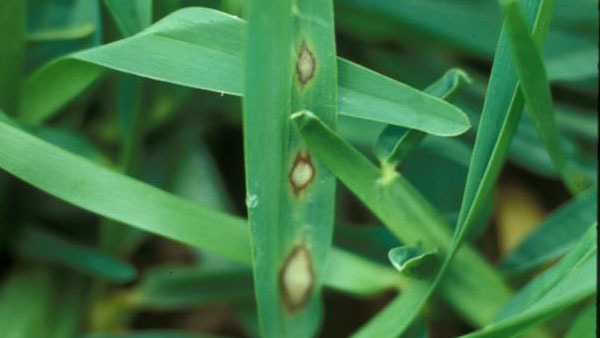 Leaf spot symptoms initially appear as small, brown or black spots or flecks on the leaves or sheaths. 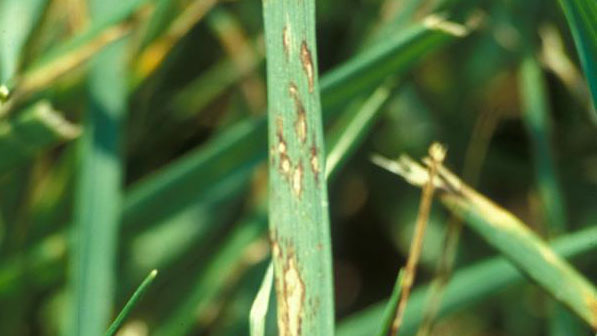 As the lesions expand, the center of the lesions becomes tan with a dark brown or black border. The lesions may also be surrounded by a yellow halo. 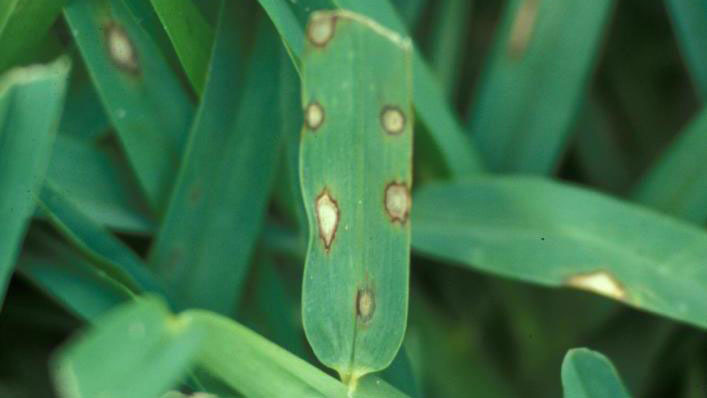 As the lesions expand, they coalesce and cause dieback of entire leaves or plants. 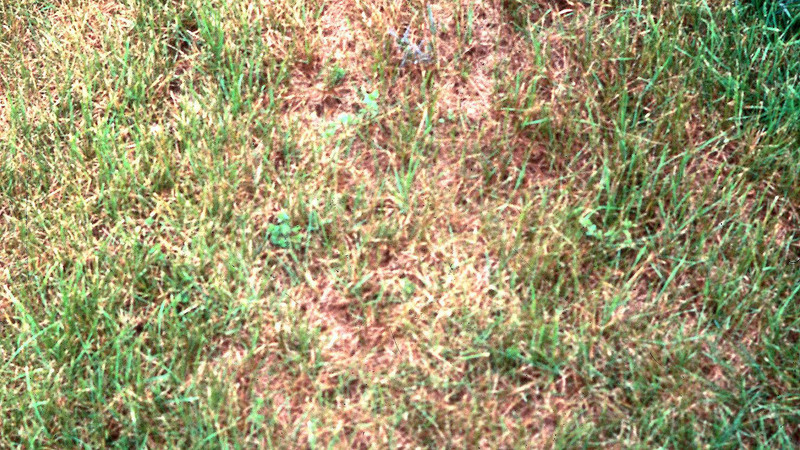 Melting out symptoms appear as a reddish- brown rotting of the sheaths, crowns, rhizomes, or stolons which initially leads to wilting, yellowing, or death of the foliage. 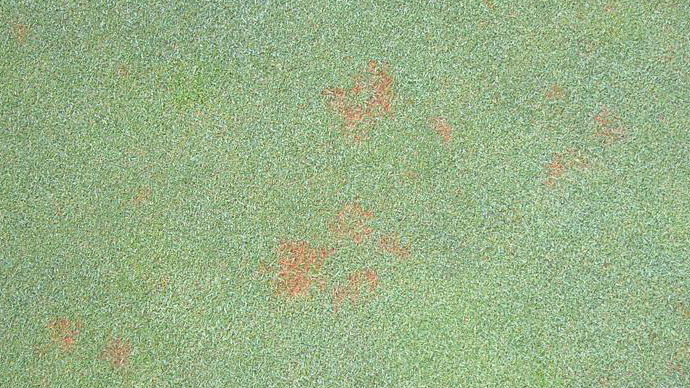 Symptoms of leaf spot and melting out appear in irregular patterns, although localized ‘hot spots’ may be more severely damaged than others. 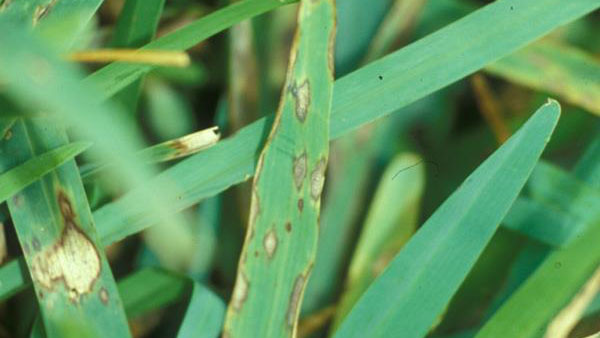 Leaf spot/melting out is one of several Helminthosporium diseases which survive in thatch during periods that are unfavorable for disease development. 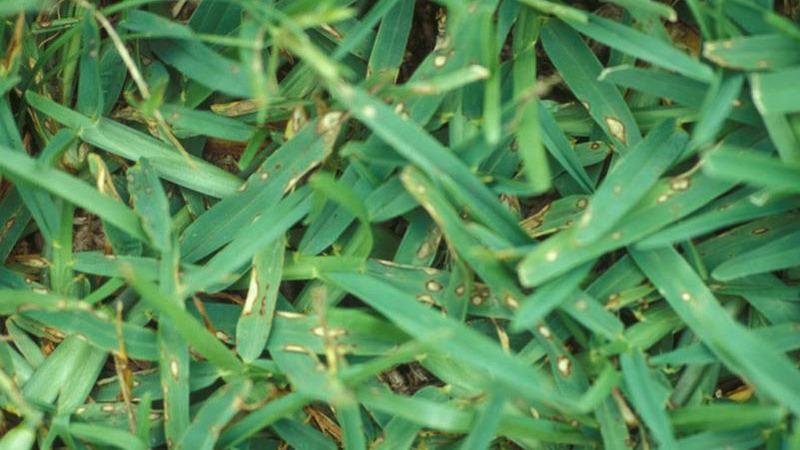 These fungi are most active during periods of cool (60-65°F) and wet weather, but some are able to cause disease whenever temperatures are above freezing. 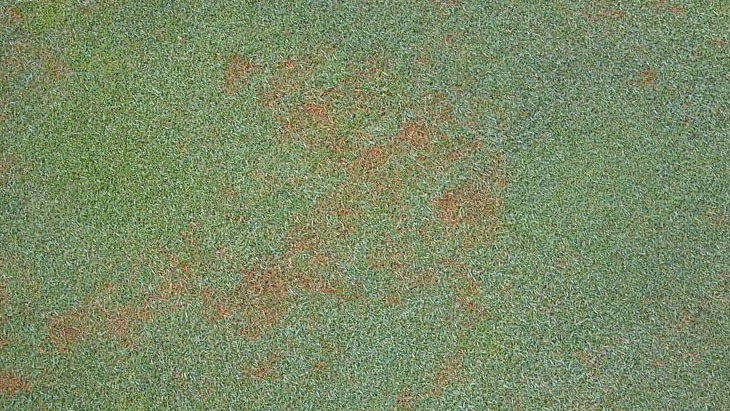 Leaf spot/melting out is most severe on turf that is growing slowly due to adverse weather conditions or improper management practices. 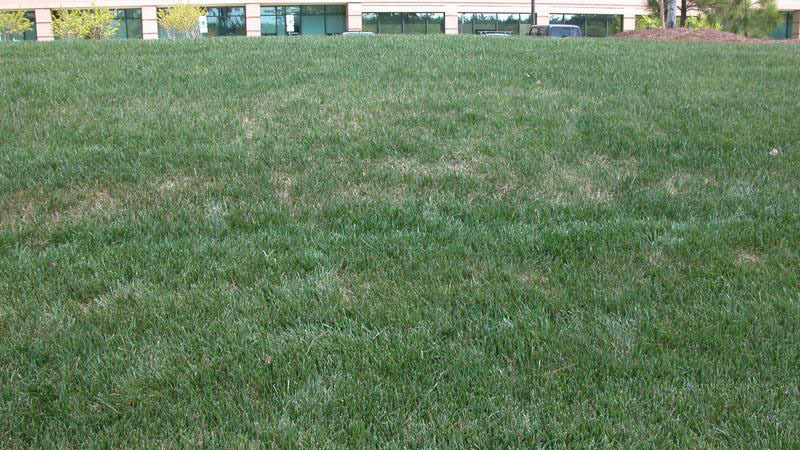 Shaded areas with little or no air movement result in weak turf and extended periods of leaf wetness that favor disease development. 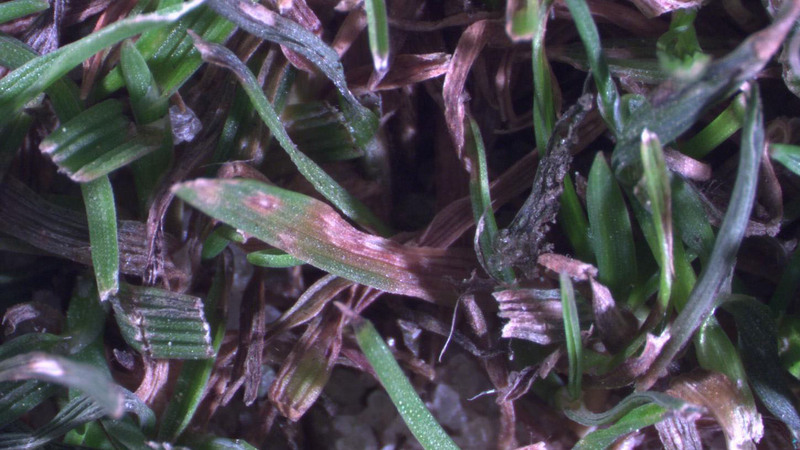 Deficient or excessive nitrogen, excessive thatch, extended periods of leaf wetness, drought stress, and low mowing heights are factors that encourage the development of Helminthosporium diseases. 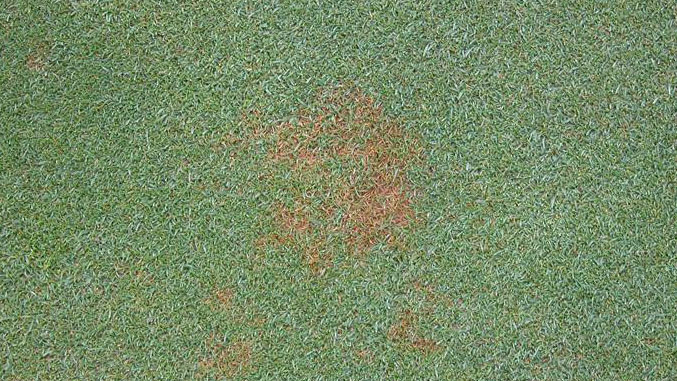 These fungi may spread to the crowns and roots and cause melting out, which is most severe during periods of hot weather. 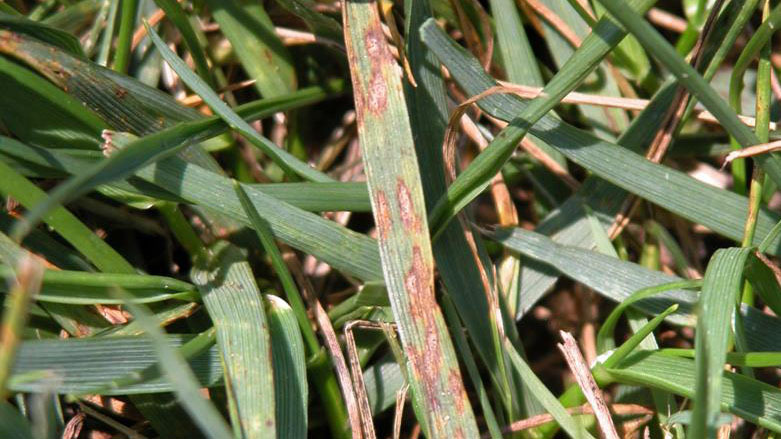 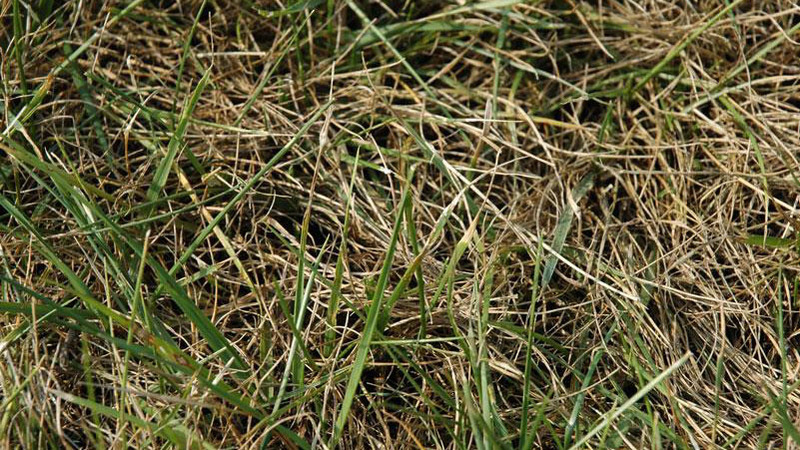 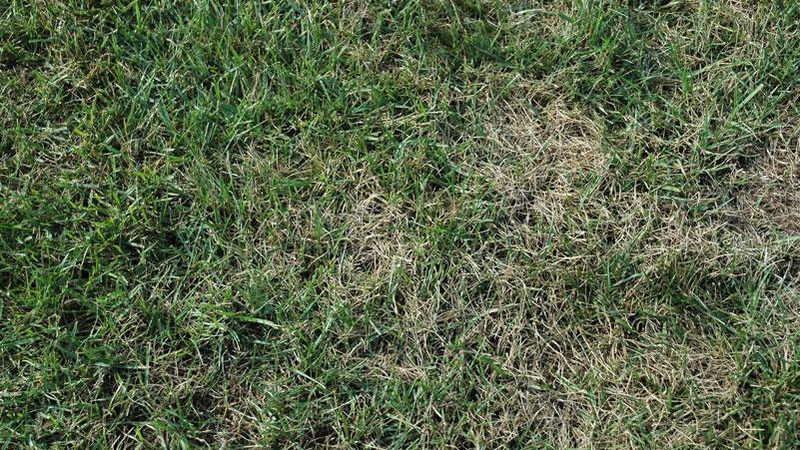 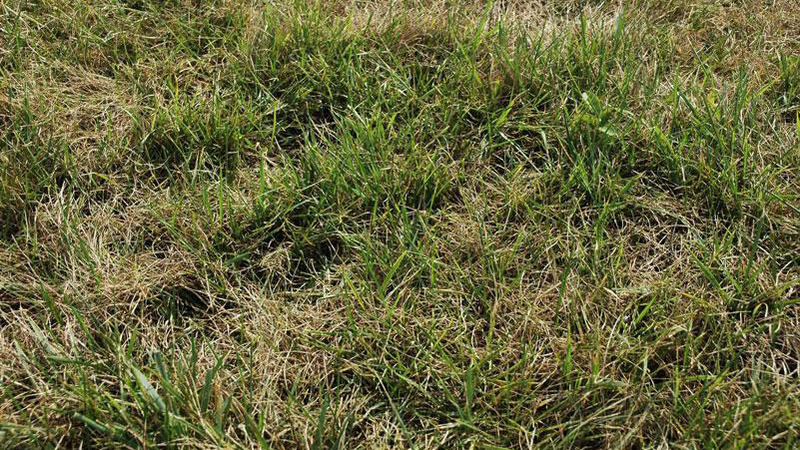 Use turfgrass cultivars with resistance to this disease when available. 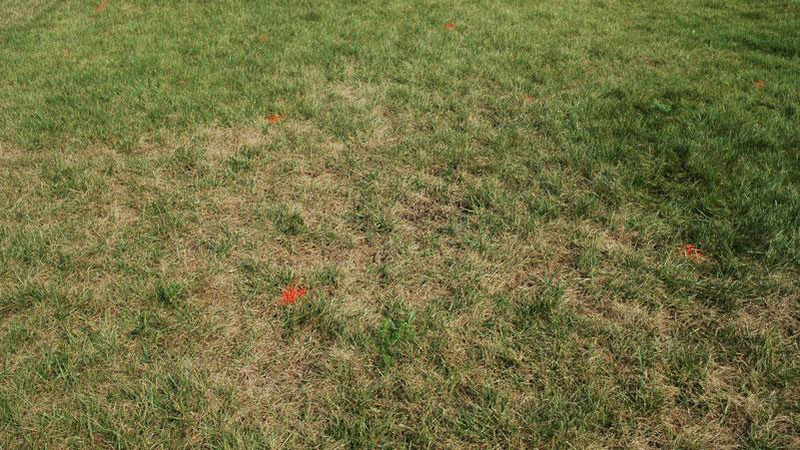 Planting resistant cultivars is one of the most effective and economical ways to manage leaf spot and melting out. 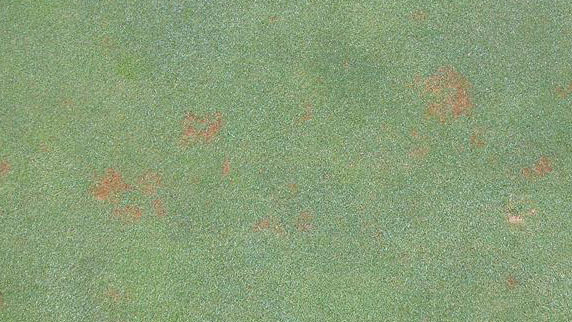 Refer to the results of cultivar evaluation trials operated by the National Turfgrass Evaluation Program or local Universities for cultivars with leaf spot resistance that perform well in your area. 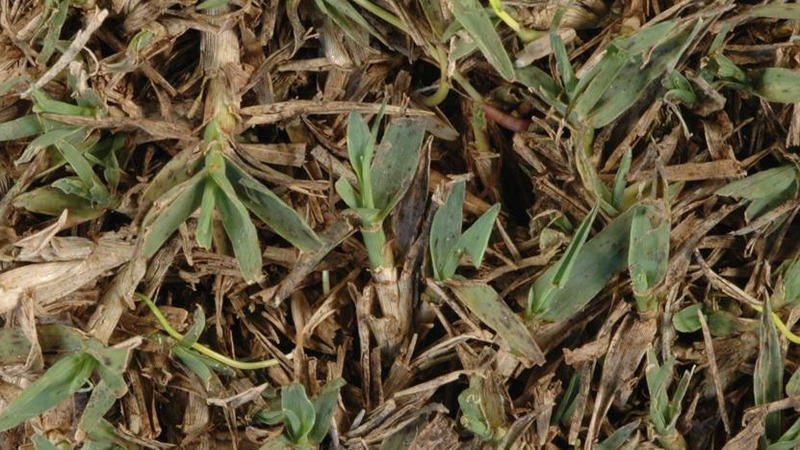 If planting cool-season turf, use blends and mixtures of multiple species and / or varieties when possible. 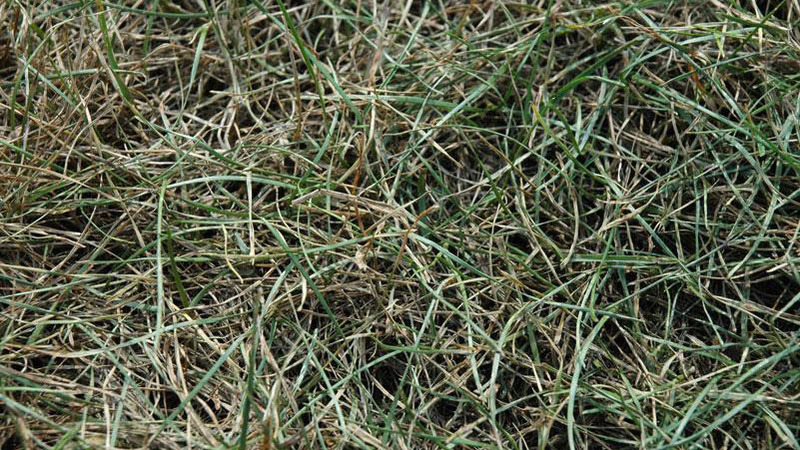 Fertilize to meet the nutritional needs of the turf but avoid over-stimulation and the development of lush, succulent growth. 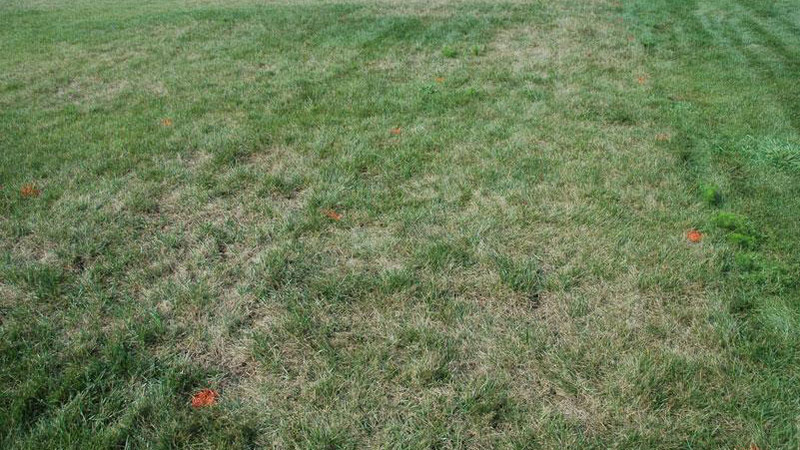 Do not apply more than one pound of nitrogen per 1,000 square feet in a single application. 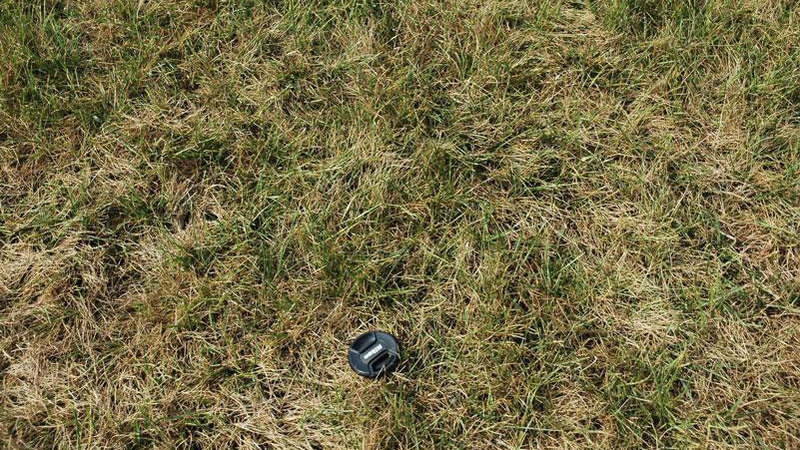 Mowing heights and frequencies should be within the recommended range for the turfgrass species being managed. 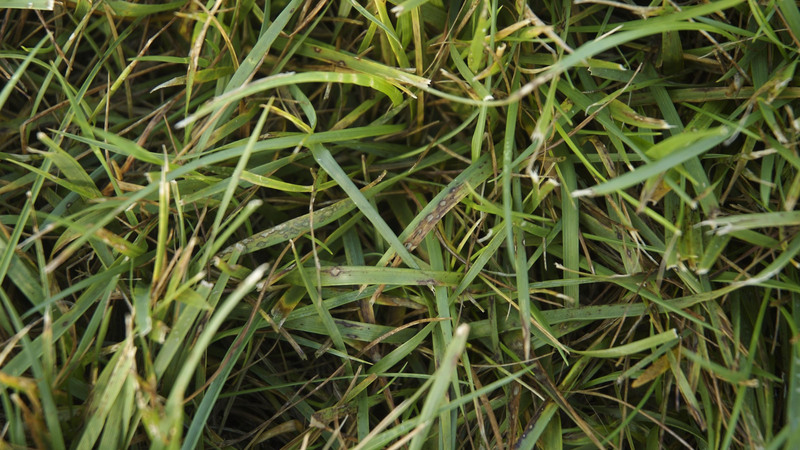 Keep the mower blades sharp to prevent open wounds through which the fungus can enter. 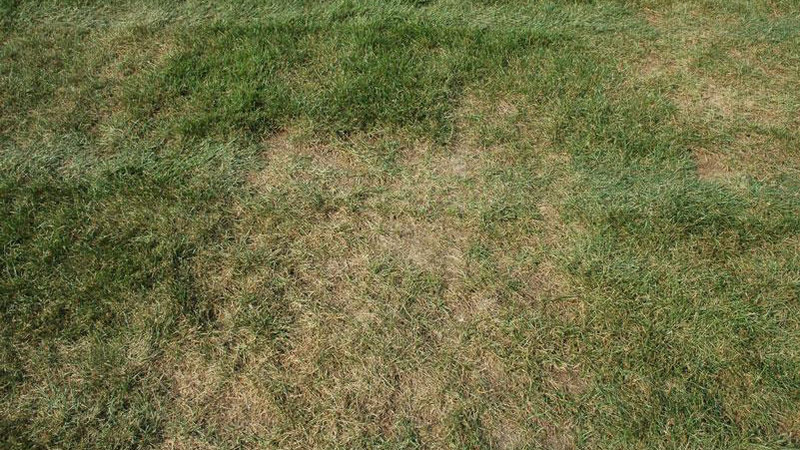 Reduce extended periods of leaf wetness by watering deeply but infrequently to wet the entire root zone. 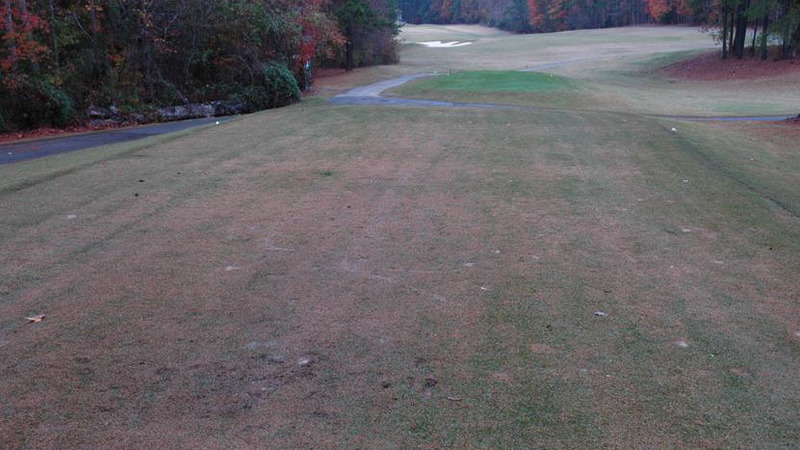 Use the Turf Irrigation Management System available on TurfFiles to schedule irrigation based on weather conditions and turf needs. 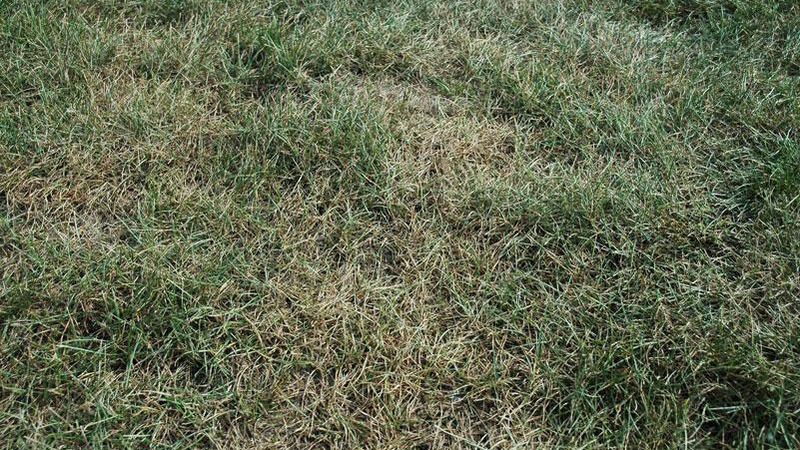 Do not irrigate just before sunset or after sunrise, because this will extend the leaf wetness period which favors disease development. 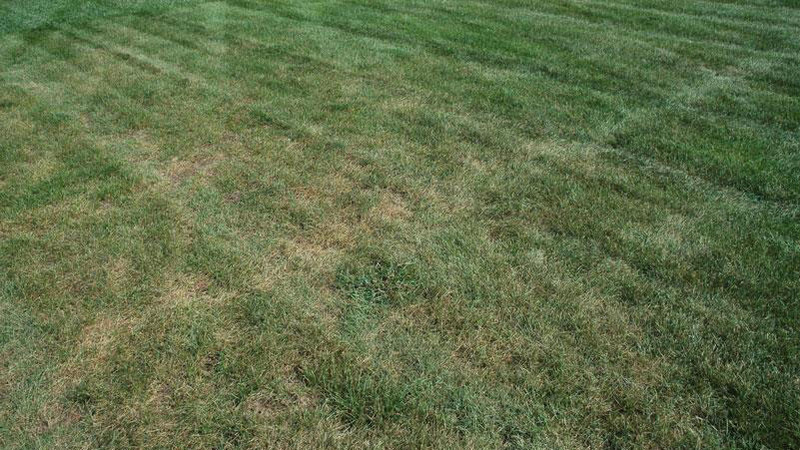 Remove unwanted vegetation that impedes air movement and prune trees to allow for light penetration. 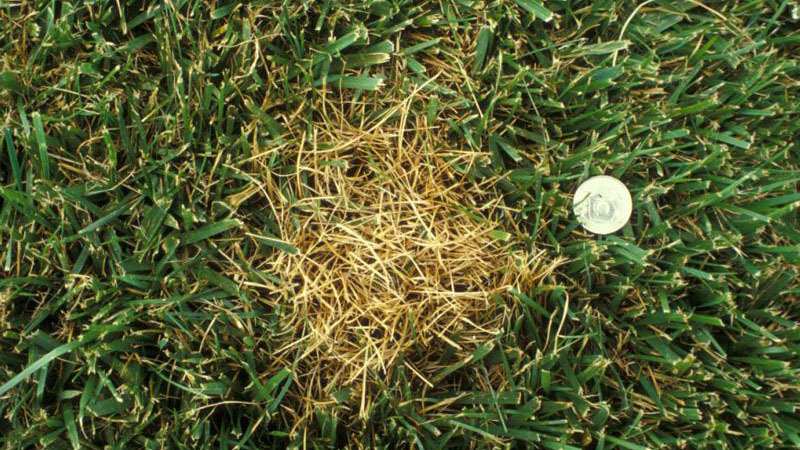 Power rake or dethatch to remove excessive thatch and reduce the potential for pathogen survival. 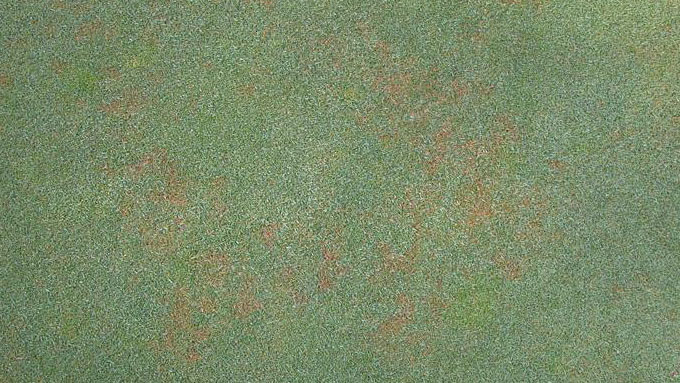 Regular aerification and topdressing of golf greens is also necessary to reduce thatch buildup. 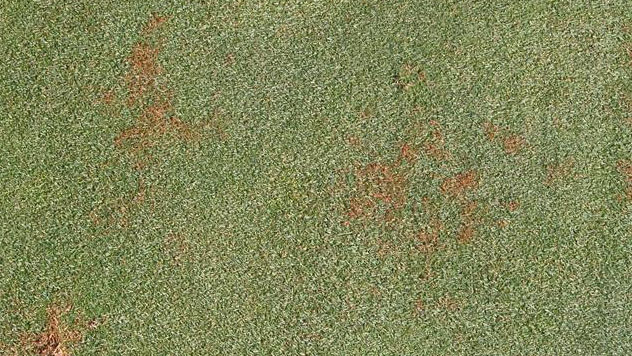 Leaf spot can be controlled on a preventative or curative basis. 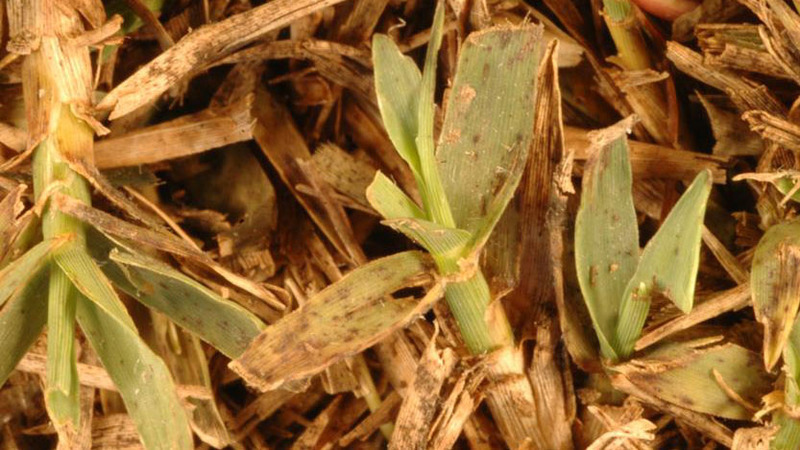 However, applications are most effective when made in the early stages of development. 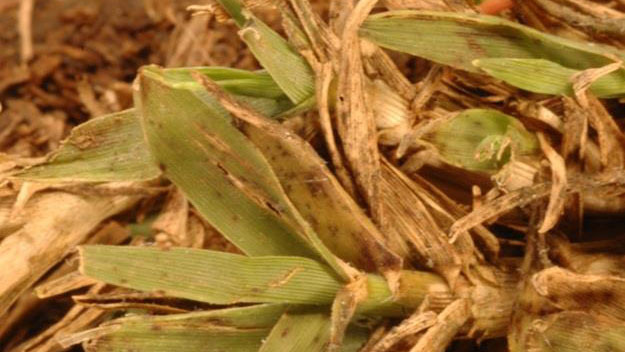 Once the disease reaches the melting out stage, fungicide may not cure infected plants but will help reduce further spread of the disease. 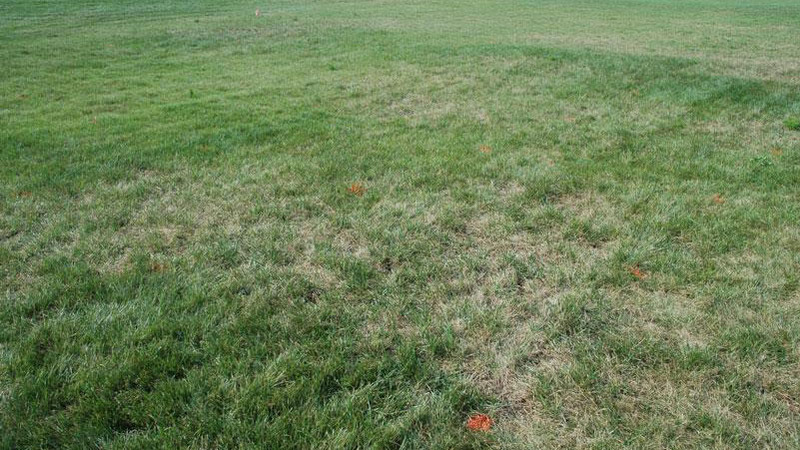 Susceptible turfs should be monitored frequently for signs of disease activity during periods of cool and wet weather.